We treat every customer like part of the family, and we don’t settle for less than perfection on our home renovations. Whether you live in a cozy condo or a sprawling family home, quality Vernon Hills interior remodeling projects can add value, style, and functionality to your home. Since 1996, we’ve made it our mission to ensure that homeowners have access to affordable, expert services from Vernon Hills home remodeling professionals. We treat every customer like part of the family. That’s why we insist on the best products, flawless designs, and perfect installations. We’ll treat your home with same care we do our own. 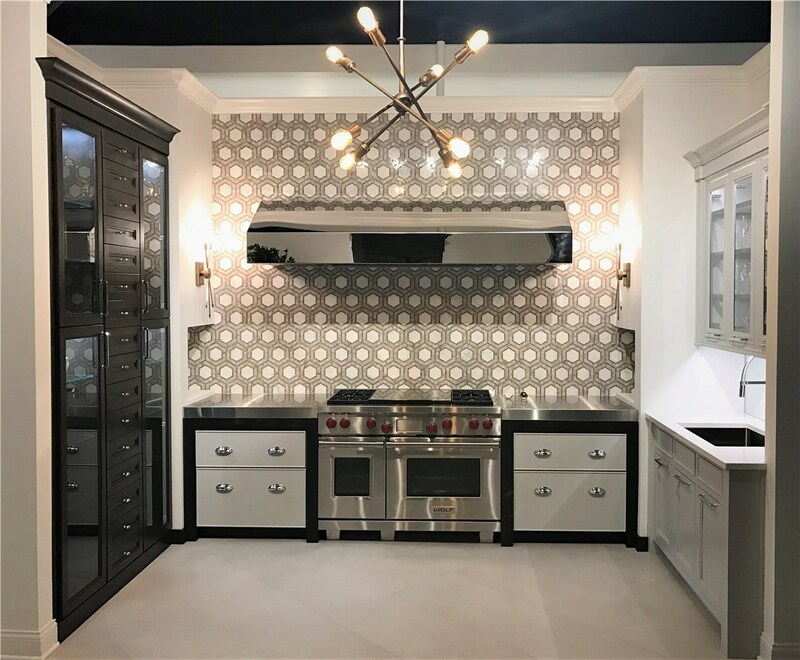 That commitment to customer-focused service has earned HomeWerks A+ accreditation with the Better Business Bureau, a “Best of Houzz” award for customer service, and a reputation for excellence among local home remodeling companies. 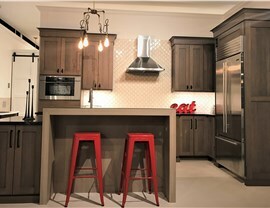 New Cabinets: We install hand-stained cabinets in your choice of finish. 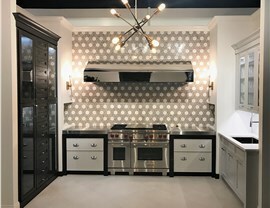 We have styles that are appropriate for any style kitchen from traditional to ultra-modern. 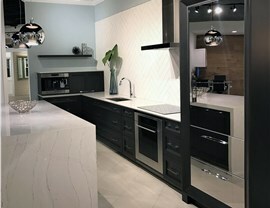 Updated Countertops: Choose from granite, marble, tile, laminate, or quartz to find the countertop that matches your taste and your budget. Full Renovations: Does your kitchen need a total makeover? We can help with that, too. 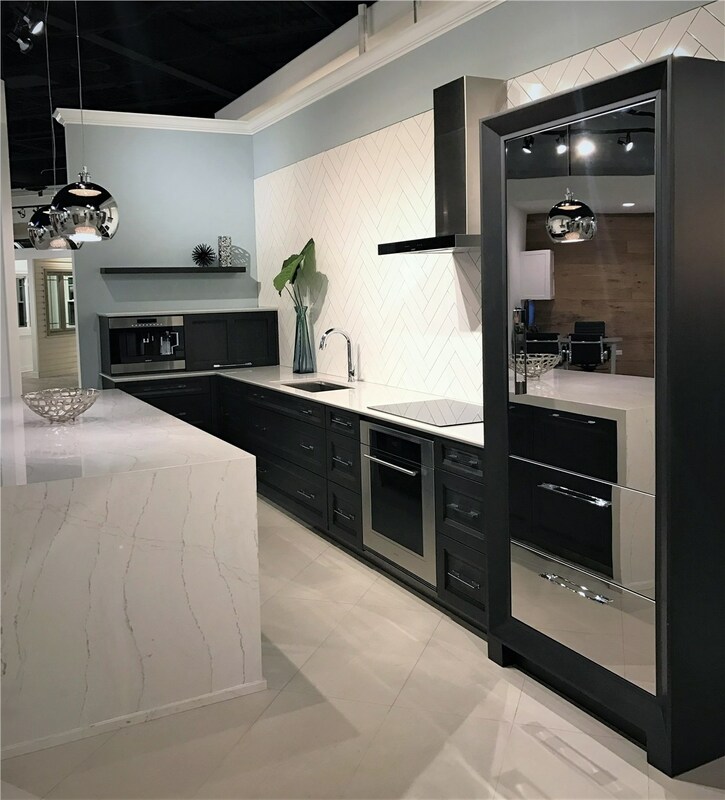 Our designers will help make the best use of your space, so you can have the kitchen of your dreams. Enlarging the Space: If your space is too small, HomeWerks can enlarge the space with a bump-out or other type of home addition. 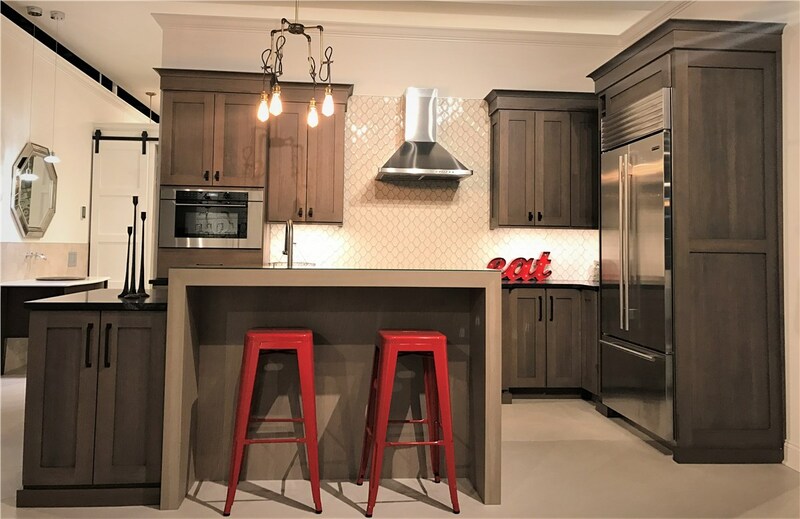 If you’ve been thinking about kitchen remodeling for a while, let us show you how easy and affordable it is to get started. New Tubs: Soak the cares of the day away in a stylish new tub. Replacement Showers: Stepping into a brand new shower is a great way to start the day. Cabinets, Countertops, and Vanities: Choose your materials and finishes for cabinets, countertops, and vanities that will give your bathroom a custom look. Steam Showers: Our bathroom remodeling company loves to help our customers enjoy the many benefits of a luxurious steam shower. Converting a Half-Bath to a Full: Just imagine how another full bath will ease the morning congestion in your home. Adding a Bathroom: Add instant value to your home with the addition of another bathroom. Whatever the reason for your Vernon Hill home remodeling project, you can count on HomeWerks to deliver exactly what you need. Give us a call today to learn more about our services, or fill out our online quote form now to schedule a free design consultation and estimate.